FERGUS, ON-“It is with great regret that the Fergus Truck Show will cease operations effective immediately and will not be hosting any future events.” That’s the word from the Fergus Truck Show Facebook page. 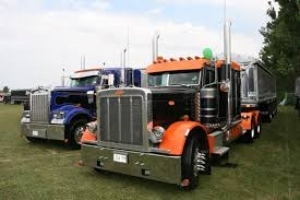 In 1986, the Fergus Truck Show was established as a one-time event to raise funds for the Fergus and District Community Center Complex Hall addition and to introduce area residents to the trucking industry. In a few years, it had grown to be one of the province’s largest truck-specific events. Lately, as the nightly musical entertainment grew, the trucking side of the show waned. The event’s show-and-shine was a shadow of its former incarnation. Over the years, the event has resulted in approximately $80 million dollars in economic benefit for the community. The Fergus show was the major fundraising project for many local groups including the Alma Optimist Club, Arthur Optimist Club, Belwood Lions Club, Centre Wellington In-Line Hockey, Country Wings, CWDHS Missions, Elora Mohawks, Fergus Devils Junior Hockey Club, Fergus Tennis Club, Grand Harmony, Tri City Football, Highland Rugby Football Club, Melville United Church, Men for Missions, Centre Wellington Rotary Club, Royal City Ambassadors, Fergus Lions Club, Community Resource Group, Fergus Boy Scouts and Fergus Curling Club.